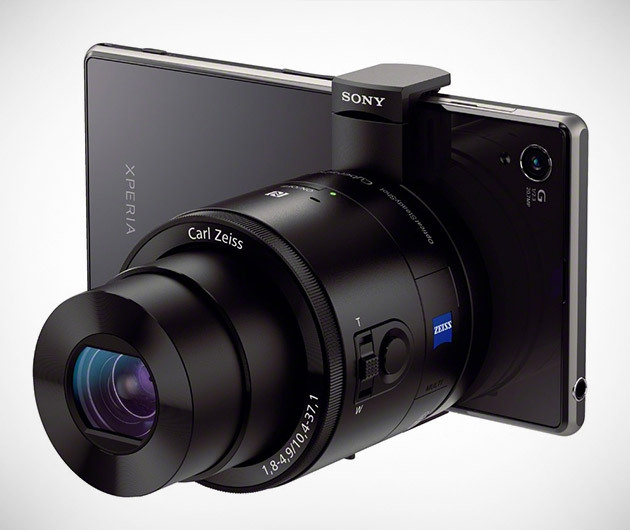 Available as either 18- or 20-megapixel, the Sony Cyber-Shot QX Lens Cameras are designed to replicate SLR lenses but can also be clipped to, or connect wirelessly to a smartphone, meaning that the phone can then double as a viewfinder. Not only are they point and shooters, but also have the ability to store both snaps and recordings on memory cards, and of course, their quality is second to none. Sony, you've done it again.